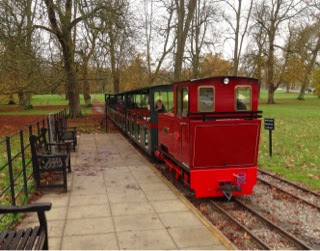 Yesterday we visited Blenheim Palace, and as the car park was quite a long way from the building we caught this miniature train to save a 30 minute walk. 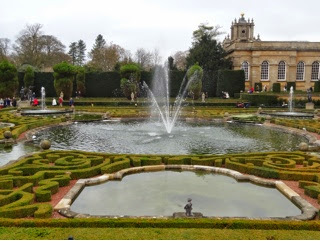 Blenheim Palace , the current home of the Duke of Marlborough, was built between 1705 and 1722 by Sir John Vanbrugh for John Churchill, the first Duke. 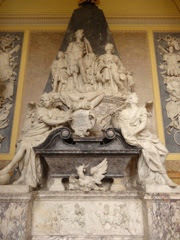 It was a gift by Queen Anne for Marlborough's military victory in defending Holland from the French, culminating in the decisive victory at Blindheim or Blenheim on the river Danube in Bavaria on 13th August 1704. This was our view as we approached the Great Court and north front. Blenheim Palace was the birthplace of Sir Winston Churchill on 30th November 1874 and there is now a really extensive set of rooms dedicated to his life, with many of his wartime broadcasts relayed there together with hundreds of memorabilia, including his maroon velvet siren suit he wore during the long nights he spent on duty during the Second World War. 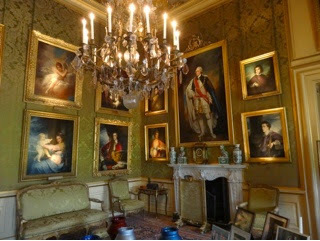 Wandering through the sumptuous rooms, halls and corridors we really enjoyed the paintings, tapestries, Grinling Gibbons carvings, furniture and porcelain. I was particularly intrigued by this statue and wondered what material it was made with as it had a strange yellowish hue. As I studied the face, suddenly, and without any warning, it lunged at me with an outstretched arm and frightened me to death. I had no idea it was a living figure! As I jumped back with a cry of alarm my young friend and a group of Chinese tourists lingering nearby burst into laughter! After a while we wandered around some of the many gardens. This is the Water Terrace. Commissioned by the 9th Duke it was built by Achille Duchene between 1925 and 1930. 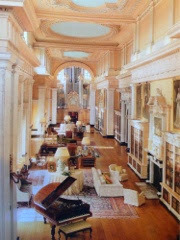 In 1929, when the work was virtually complete the 9th Duke wrote "Pray tell Monsieur Duchene that the ensemble of the terraces is magnificent and in my judgement far superior to the work done by Le Notre at Versailles. The proportion of the house, the terrace and the lake is perfect." 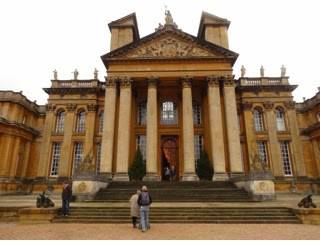 After a nice little lunch in the champagne bar my young friend reminded me we hadn't had the experience of "Blenheim Palace - the Untold Story". This was a really interesting and innovative extra. 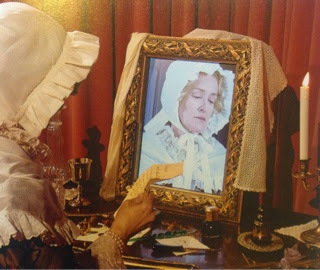 A little group of us climbed a series of red carpeted staircases and entered a small, and quite spooky little room where we were transported back 300 years to the initial building of the Palace by the ghost of Grace Ridley - the ladies maid to the first Duchess of Marlborough. We saw the Duchess speaking via a mirror - so realistic. 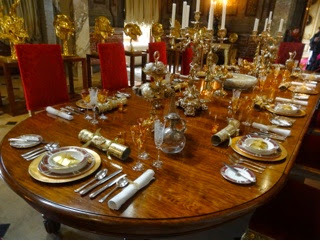 Grace traced the history of the Palace through the ages. She told how Grinling Gibbons struggled under the weight of the stone carvings and as we looked up there was his life size figure . After hearing and seeing all sorts of interesting things, a door in the room opened and we went into the next one. 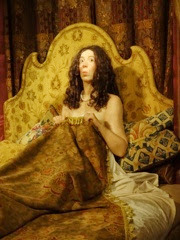 A little scene then took place with King Charles II's mistress in bed while the first Duke hid in the wardrobe. Quite a saucy scene was then enacted. Lots of interactive and audio-visual exhibits made the whole visit truly memorable. 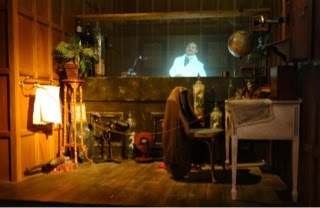 There were about five rooms altogether culminating in one showing the 8th Duke's pioneering scientific experiments. 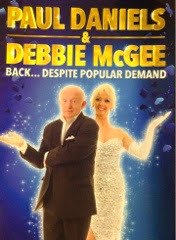 On Thursday evening we drove over to The Wycombe Swan to see Paul and Debbie in their latest show - 'Back Despite Popular Demand'. We really liked the theatre - a very friendly welcome when we arrived for a pre-show dinner at the restaurant there. I'd seen most of Paul's illusions before - but not the final act. Debbie lay on a settee while Paul draped a large golden sheet over her. Then holding the sheet by two of the corners he slowly raised it with the shape of Debbie's body seemingly raising at the same time. When she had been well and truly levitated he let the golden sheet drop - and there was nothing there. Debbie had completely disappeared. I'm a sucker when it comes to magic. 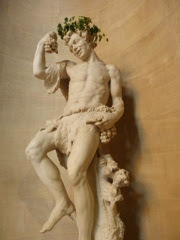 Every Sunday morning on BBC Radio Berkshire they have a gardening hour. 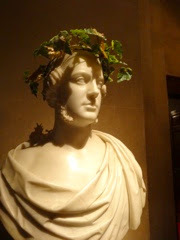 Colin, the resident expert gardener is always there to answer any questions the listeners may have. So I rang in last Sunday with a question about Canna Lilies. My young friend and I had spent time the other day digging up seven of her cannas to get them ready for the winter. We weren't sure of the best way to protect them and whether to get rid of all the earth still adhering to the roots. Colin advised us to leave the soil there but to place each plant in a pot, add a small amount of compost around each plant and leave them in the shed till the spring. It's great to have such a friendly radio station willing to take calls on any subject - especially from the gardening expert. I'd especially wanted to see the film "Mr Turner" as it's about the life of J.W. Turner - one of my favourite artists. 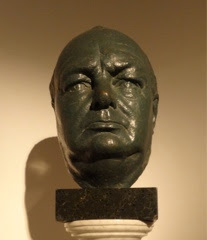 ( I can't imagine what he would make of some of the works selected for finalists in the annual 'Turner Prize' exhibition in London - he'd turn in his grave I expect). We went to see it last week and found it a bit slow, but very well done - especially the many tableaux scenes. 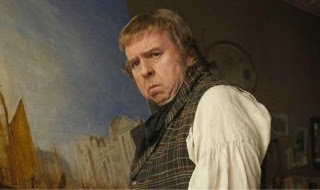 Timothy Spall was quite remarkable as the artist himself and apparently had spent many hours over the past two years learning Turner's painting techniques. Last Saturday morning while visiting his wife, I spoke to my imprisoned artist friend and was saddened to hear that the authorities won't allow him to draw while there. It seems a bit harsh to me. A few weeks ago I wrote him a three page letter - but only on one side of each sheet in the assumption he could use the blank sides to draw on. But not to be I suppose. As an artist myself I must admit I'd be quite upset not to be able to practice my art - unless, that is, I was sketching out escape routes!